What does the Equifax data breach tell us about the larger issue of risk management in an increasingly unpredictable world? It’s common knowledge by now that the data breach at credit reporting company Equifax earlier this year affected more than 140 million Americans. I don’t know about you personally, but in my immediate family, it’s running about 40% of us who have been impacted. And as it turns out, the breach occurred because one of the biggest companies in the world — an enterprise that’s charged with collecting, holding and securing the sensitive personal and financial data of hundreds of millions of people — was woefully ill-prepared to protect any of it. How ill-prepared? The more you dig around, the worse it appears. Since my brother, Nelson Nones, works every day with data and systems security issues in his dealings with large multinational companies the world over, I asked him for his thoughts and perspectives on the Equifax situation. Founded in 1899, Equifax is one of the largest credit risk assessment companies in the world. Last year it reported having more than 9,500 employees, turnover of $3.1 billion, and a net income of $488.1 million. On September 8, 2017, Equifax announced a data breach potentially impacting 143 million U.S. consumers, plus anywhere from 400,000 to 44 million British residents. The breach was a theft carried out by unknown cyber-criminals between mid-May 2017 until July 29, 2017, which is when Equifax first discovered it. It took another 4 days — until August 2, 2017 — for Equifax to engage a cybersecurity firm to investigate the breach. Equifax has since confirmed that the cyber-criminals exploited a vulnerability of Apache Struts, which is an open-source model-view-controller (MVC) framework for developing web applications in the Java programming language. The specific vulnerability, CVE-2017-5638, was disclosed by Apache in March 2017, but Equifax had not applied the patch for this vulnerability before the attack began in mid-May 2017. The workaround recommended by Apache back in March consists of a mere 27 lines of code to implement a Servlet filter which would validate Content-Type and throw away requests with suspicious values not matching multipart/form-data. Without this workaround or the patch, it was possible to perform Remote Code Execution through a REST API using malicious Content-Type values. In the wake of these revelations, Equifax shares fell sharply: 15% on September 8, 2017, reducing market capitalization (shareholder value) by $3.97 billion in a single trading day. Over the next 5 trading days, shares fell another 24%, reducing shareholder value by another $5.4 billion. What this means is that the cost of the breach, measured in shareholder value lost by the close of business on September 15, 2017 (6 business days), was $9.37 billion – which is equivalent to the entire economic output of the country of Norway over a similar time span. This also works out to losses of $347 million per line of code that Equifax could have avoided had it deployed the Apache Struts workaround back in March 2017. The company’s Chief Information Officer and Chief Security Officer also “retired” on September 15, 2017. 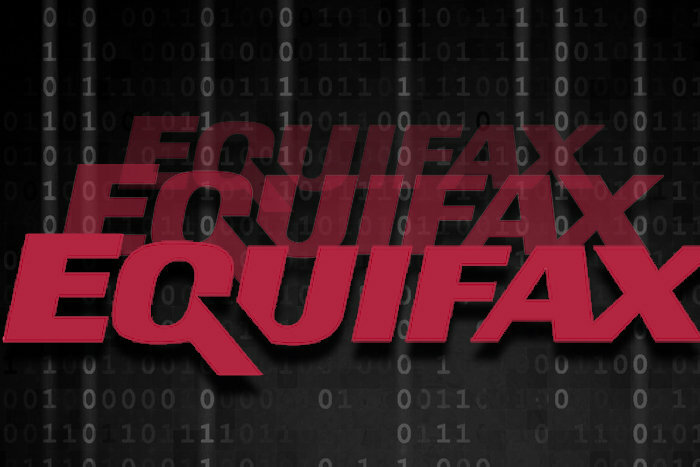 Multiple lawsuits have been filed against Equifax. The largest is seeking $70 billion in damages sustained by affected consumers. This is more than ten times the company’s assets in 2016, and nearly three times the company’s market capitalization just before the breach was announced. If something like this could happen at Equifax — where securely keeping the private information of consumers is the lifeblood of the business — one can only imagine the thousands of organizations and millions of web applications out there which are just as vulnerable (if not as vital), and which could possibly destroy the entire enterprise if compromised. At most of the companies I’ve worked with over the past decade, web application development and support takes a back seat in terms of budgets and oversight compared to so-called “core” systems like SAP ERP. That’s because the footprint of each web application is typically small compared to “core” systems. Of necessity, due to budget and staffing constraints at the Corporate IT level, business units have haphazardly built out and deployed a proliferation of web applications — often “on the cheap” — to address specific and sundry tactical business needs. I strongly suspect the Equifax portal for managing credit report disputes in Argentina — surely a backwater business unit within the greater Equifax organization — was one of those. If I were a CIO or Chief Security Officer right now, I’d either have my head in the sand, or I’d be facing a choice. I could start identifying and combing through the dozens or hundreds of web applications currently running in my enterprise (each likely to be architecturally and operationally different from the others) to find and patch all the vulnerabilities. Or I could throw them all out, replacing them with a highly secure and centrally-maintainable web application platform — several of which have been developed, field-tested, and are readily available for use. So, there you have it from someone who’s “in the arena” of risk management every day. To all the CEOs, CIOs and CROs out there, here’s your wakeup call: Equifax is the tip of the spear. It’s no longer a question of “if,” but “when” your company is going to be attacked. And when that attack happens, what’s the likelihood you’ll be able to repel it? … Or maybe it’ll be the perfect excuse to make an unforeseen “early retirement decision” and call it a day. Update (9/25/17): And just like clockwork, another major corporation ‘fesses up to a major data breach — Deloitte — equally problematic for its customers.